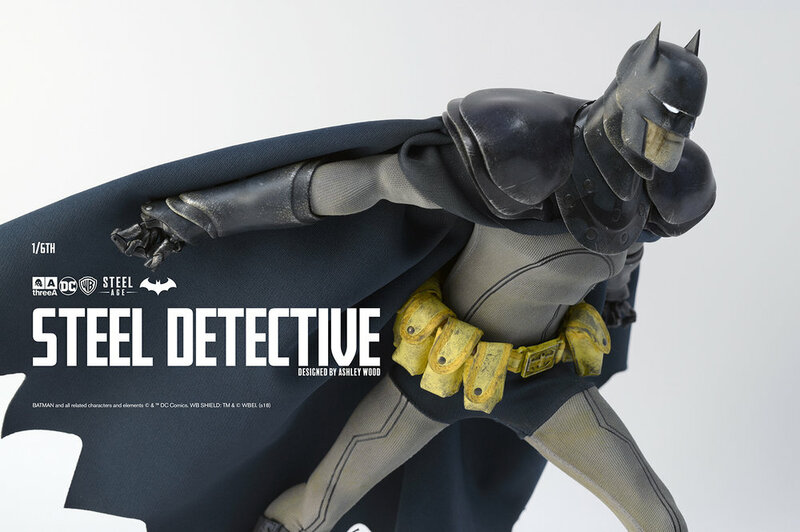 ThreeA has released the final colorway of their Steel Age Batman 1/6 Scale Collectible Figure, and it is a beauty! 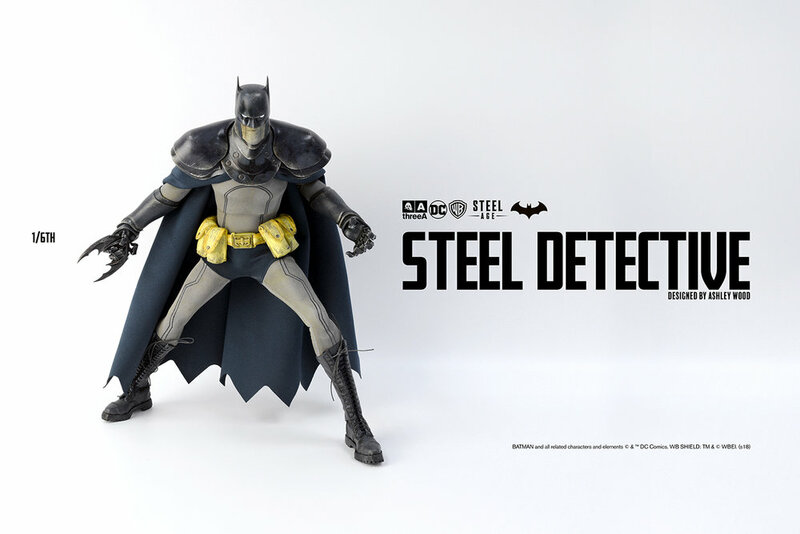 The Steel Detective Batman 1/6 Scale Collectible Figure stands 14” tall and features LED illuminated eyes, 50 points of articulation, including fingers and segmented neck armor, and includes two Batarangs. This officially licensed DC Comics figure was designed by Ashely Wood and is inspired by The Dark Knight’s iconic blue and grey costume. Each DC Comics Steel Age Detective Batman 1/6 Scale Collectible Figure features a cloth fabric outfit, utility belt, and cape evoking the classic Silver Age Batman look, and comes in oversized blister card style packaging. Limited to just 300 pieces, collectors can pre-order this awesome colorway now at Entertainment Earth for $239.99 here.